The lat pull down is one of the only useful machines in the weight room. It allows you to train a large group of muscles at once making it an efficient and functional exercise. 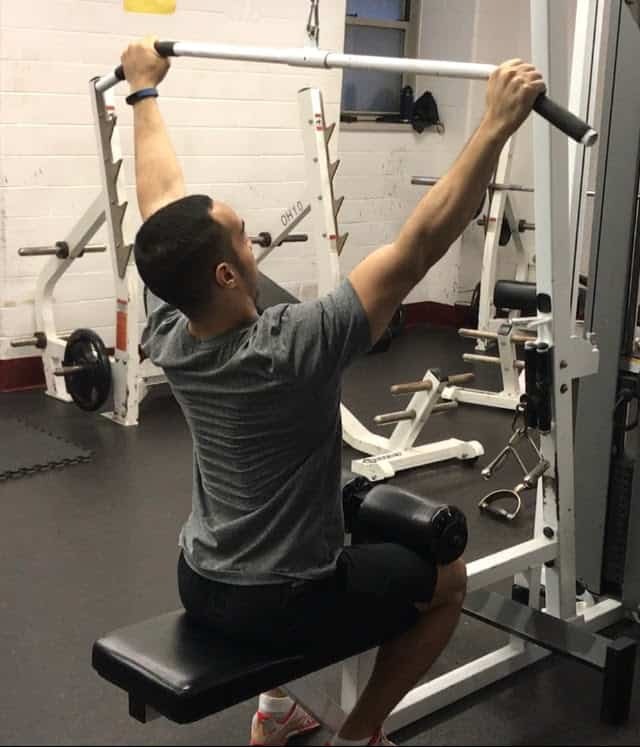 If you cannot perform a pull-up, the lat pulldown is a great alternative to get a similar training effect. In addition, the cable pulley system also allows for a more free range of motion of the weight as compared to other machines where the motion is rigid and fixed. 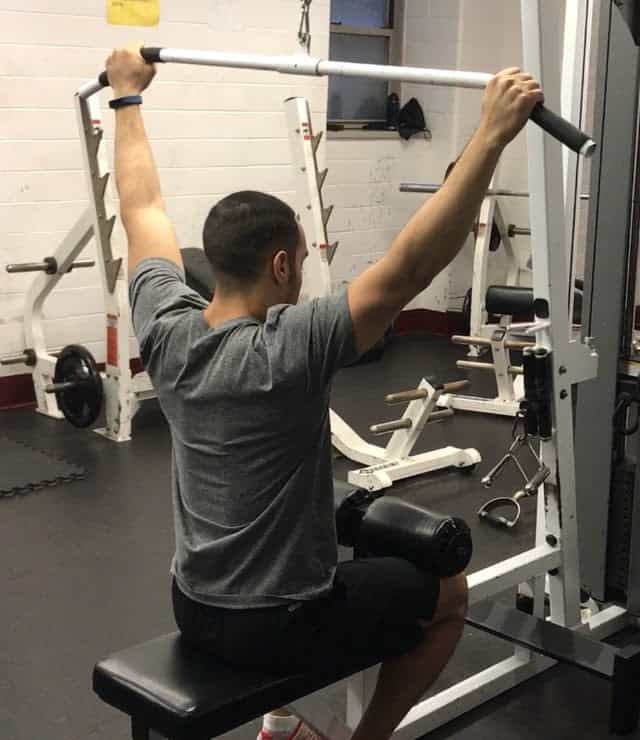 This usually happens when the weight is either too heavy, or you are performing too many reps. Keep your upper back arched and your shoulder blades back. If you cannot finish the final rep of the set, don’t try and force the bar to touch your clavicles. This will cause wear and tear injury to your shoulder and lead to anterior shoulder discomfort. 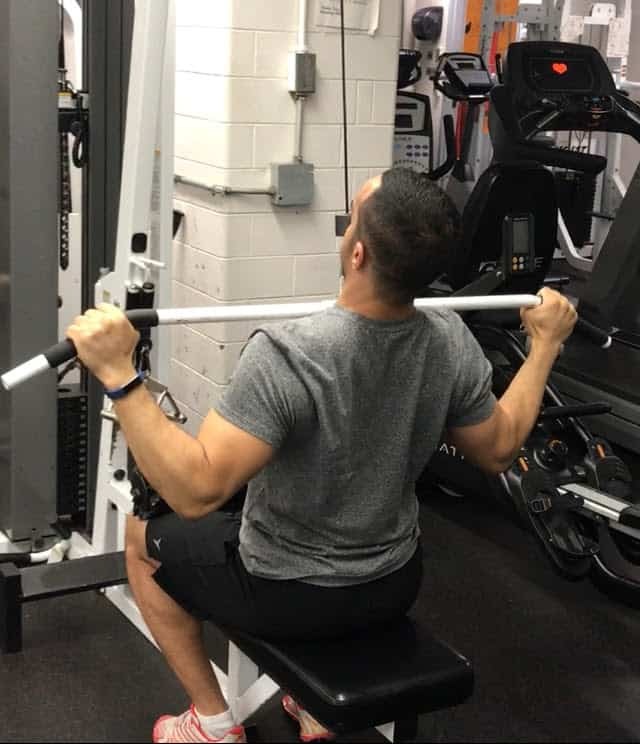 Can Lat Pulldowns Help With Pull-ups? The lat pulldown trains all of the same muscles as the pull-up so in theory, it should help. The problem is, you actually have to practice pull-ups to get better at them. If you are an absolute beginner, you can start off with lat pulldowns, but if your goal is to get better at the pull-up, be sure to practice them as well. In our pull-up tutorial, we go over an easy way to begin training this exercise. I Can Do Both. What’s Better? Lat Pulldowns Vs Pull-ups? Free weight and bodyweight exercises will always be better than machine exercises. Stick to pull-ups. With that said, pull-ups are more challenging as the require you to engage your entire body and core. Sometimes when I’m feeling lazy, I do lat pulldowns instead. Should I Do Lat Pulldowns with an Overhand or Underhand Grip? I recommend that you stick to an overhand grip. This grip will target your back muscles more than an underhand grip, which heavily involves the biceps. There are other exercises you can do to target the biceps. Let the lat pulldown work your lats. Can I Do Lat Pulldowns Behind The Head? I do not recommend that you perform this exercise behind the neck. It can place excessive strain on your shoulder and rotator cuff. 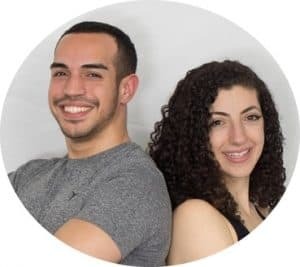 You will get all of the benefits that you need from doing this exercise the normal way. What’s The Best Lat Pulldown Grip? Should I Use a Close Grip or a Wide Grip? The lat pulldown could be performed from different grip widths. The wider your grip, the more back muscles are used (more lats), and the closer your grip is, the more arm muscles are used. A good place to set your grip when starting out is just outside of your shoulder width. Every 8-12 weeks vary your grip width to get a slightly different stimulus. Lat Pulldowns Hurt My Shoulder. Why? This is likely due to the fact that you are letting your shoulders internally rotate at the bottom of the exercise. Retract your scapula and keep your shoulders back in their shoulder sockets. See above in the common mistakes section. I Don’t Have The Lat Pulldown Machine. Can I Do Lat Pulldowns with a Band? It is very difficult to replicate this exercise without a machine. 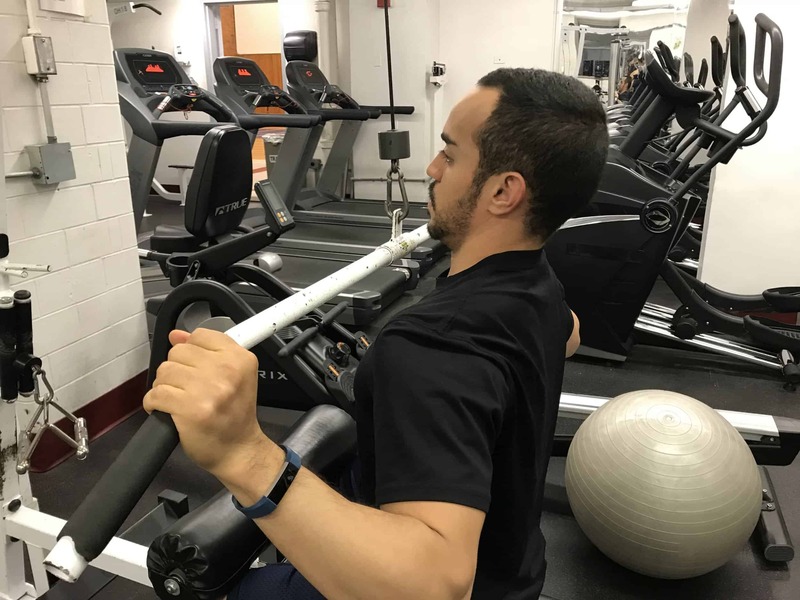 If you have a closed loop resistance band, you can attach it onto a sturdy support, crouch and pull the band down towards you in a similar fashion. Ultimately, you will be limited by the amount of resistance you can use with this technique. Can I Do Lat Pulldowns with Dumbbells? Again, this exercise is very difficult to replicate. The closest thing you can do is dumbbell pullovers as an alternative. Either that or you can stick with pull-ups. Can I Do Lat Pulldowns At Home? The only way to do lat pulldowns at home is with the three strategies I mentioned above. You can either use a resistance band, do dumbbell pullovers, or simply do pull-ups. 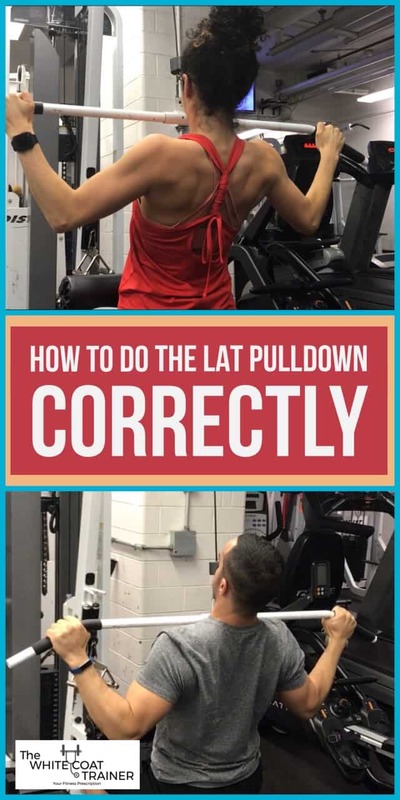 HOW CAN I INTEGRATE THE LAT PULLDOWN INTO MY ROUTINE? Want to know how to use this exercise in your workout? Check out The Best Workout Template For Busy Individuals to learn how to integrate it into your training! Here are some other alternatives you can do to train similar muscle groups.